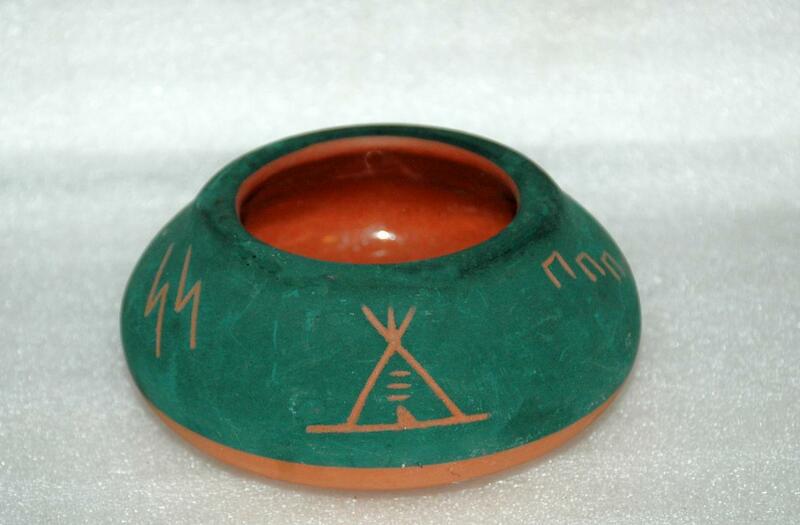 Sioux Pottery Pot Signed By Little Thunder . 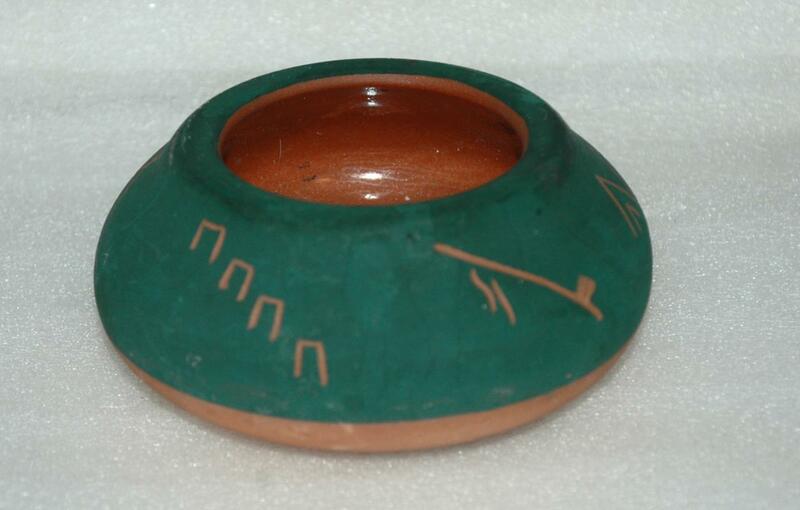 It is green and terra-cotta color pottery that measures about 2.25" tall and 4.5 across. Signed on the bottom with a lightning bolt and dated '98. 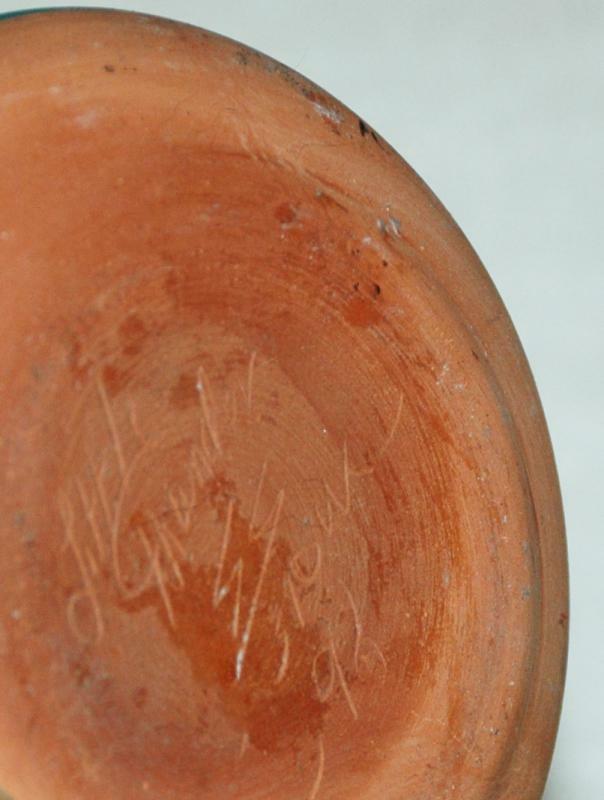 The condition is good but there are a few areas that have some rubbing marks. 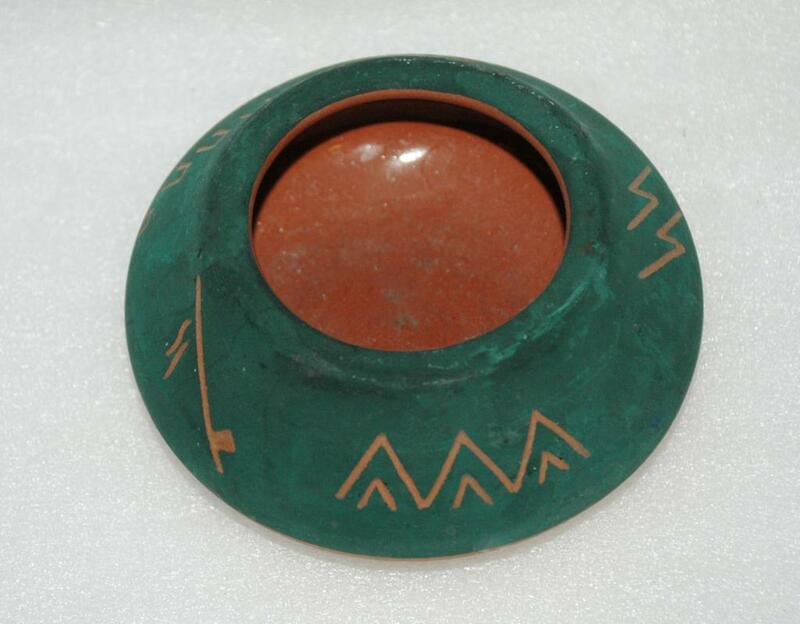 Is is unglazed. 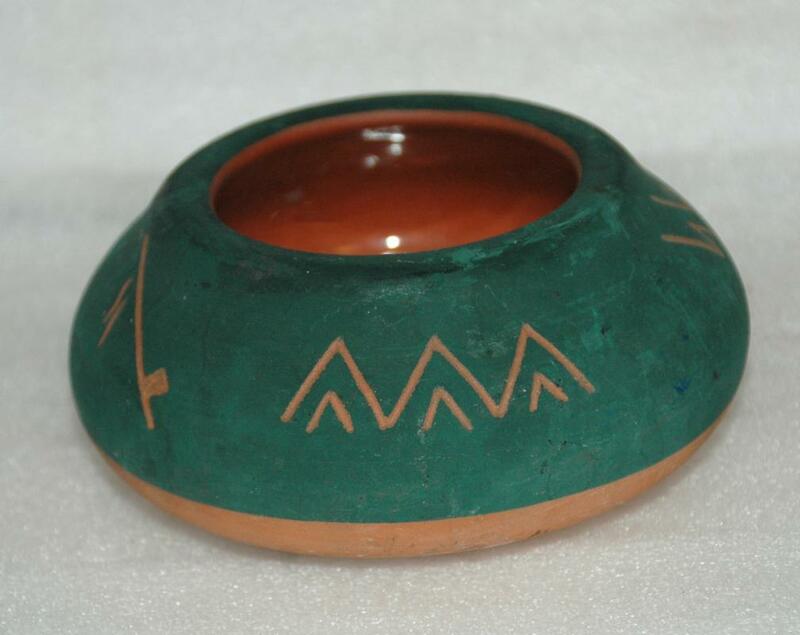 Items Similar To "Sioux Pottery Pot Bowl Signed By Little Thunder "